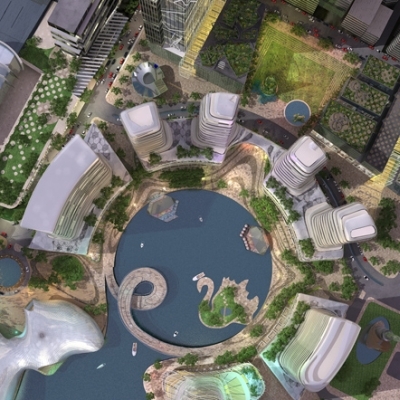 Perth is planning its own Waterfront which will extend William Street and Mounts Bay area. It looks pretty nice and promising from the preliminary planning and design. The statutory approval phase would likely take 36 months, however efforts will be made to shorten that timeframe. Stage 1A development starts with the Esplanade area in mid 2011, together with an expanded Supreme Court Gardens. Stage 1B is the main waterfront circle constructed between mid 2012 and mid2013. Stage 2 – Mounts Bay would be developed from 2016. A full build-out is expected to take 15 – 20 years depending upon economic conditions at the time. I’m not in the business of city/urban design, civil or structural engineering, but doesn’t that sounds a little bit too long? And how much taxpayer’s money will be used for the project? IMHO, Perth definately needs one. The city is comparably boring and smaller then Australia’s major cities such as Sydney and Melbourne.